Because many voyageurs worked with the Hudson’s Bay Company, it could be that our canotier was among the last persons to realize that Nouvelle-France had become a British colony. However, the voyageur‘s world changed when the border was traced between Canada and the United States. Moreover, because of the Louisiana Purchase, the central part of the United States was no longer a French colony. Napoléon had sold a third of what constitutes the present-day United States. Following the The Louisiana purchase, 1803 and the Treaty of Ghent, 1814, Grand-Portage ceased to be part of a territory that had been considered French or English territory. Settlers would soon begin arriving in both Manitoba, a British possession, and in Minnesota. As for our voyageur, he had to use other trading-posts and was still in the employ of the North West Company and the Hudson’s Bay Company. At this point, the United States entered the fur-trade business. On 6 April 1808, John Jacob Astor (17 July 1763 – 29 March 1848), German (Waldesians)- born Johann Jakob Astor, established the American Fur Company and also established the Pacific Fur Company. Ramsay Crooks, John Jacob’s employee and his successor, hired American canoemen, but his employer would never have become the richest man in the world had Congress not allowed him to hire Canadiens. The Americans recruited by Ramsay Crooks did not prove equal to the task. They could not work in unison. They carried guns, quarreled among themselves, and killed North-American Indians. So Ramsay Crooks decided that an exception had to be made to the Embargo Act of 1807. When the American Fur Company surrendered to the North West Company, in 1812, Gabriel Franchère found his way back to Montreal where, temporarily, he remained in the employ of John Jacob Astor. Franchère is the author of a book entitled Relation d’un voyage à la côte du Nord-Ouest de l’Amérique septentrionale dans les années 1810, 11, 12, 13, et 14 (Narrative of a trip to the American North West in the Years 1810, 11, 12, 13, and 14). It would seem that the book is the possession of Marianopolis College, in Westmount, Montreal. What I would like to point out here is that Franchère did not stay in Montreal. He returned west and died in Minnesota, where Astor’s men settled when they retired from what we could call “active duty.” It shoud also be pointed out that this was a most articulate gentleman who nevertheless worked as a mere clerk not to say voyageurs and had so loved his work that home had become Minnesota. As for voyageurs in the employ of the Hudson’s Bay Company (HBC), most of its employees retired in neighbouring Manitoba (Canada). In short, we have just learned about a third employer. As well, we saw that most voyageurs remained where they had worked, thereby becoming settlers, and that the more intrepid worked for explorers. I am sure that Simon Fraser had voyageurs in his employ when he chartered British Columbia. The Kootenay-Salish canoe was their canoe. 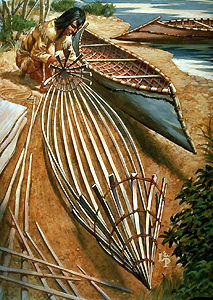 [i] Grace Lee Nute, The Voyageurs (St. Paul: Minnesota Historical Society, 1987), pp. 203-204. [iii] The Voyageurs, p. 6. [iv] Nute, op. cit., p. 10. 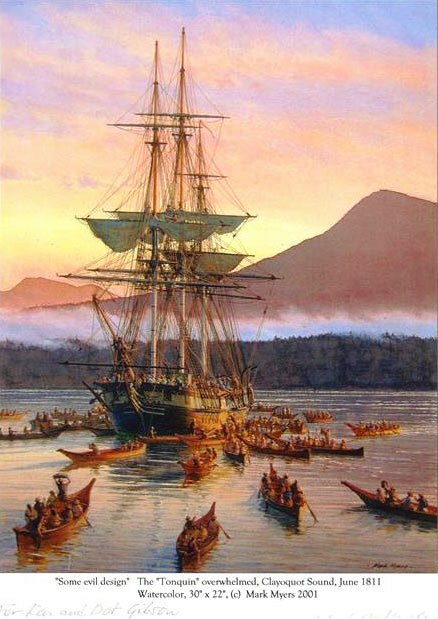 The above is a depiction, by Mark Myers, of the Tonquin, a 290-ton bark, une barque, used by John Jacob Astor‘s ill-fated Pacific Fur Company. John Jacob Astor bought the Tonquin on 23 August 1810 from Fanning and Coles. (See The Tonquin, Wikipedia). Although Alexander Ross described the sinking of the Tonquin, he was not aboard the ship when it was attacked by Nootka Amerindians at Clayoquot Sound, in June 1811. It seems an Astorian left aboard the ship blew it up. As the story was conveyed to Alexander Ross, “one hundred and seventy-five Amerindians perished[. ]” (Ross reprint, p. 170.) Alexander Ross writes that Captain Thorn’s temper “was cruel and over-bearing,—and his fate verifies the sacred decrees, that ‘he shall have judgment without mercy, that hath showed no mercy.’” (Ross reprint, p. 171.) According to Ross’ report, not only had Captain Thorn (8 January 1779 – 15 June 1811) insulted the Amerindians, but he had also detained two chiefs. On that day, Captain Black, who arrived on the Racoon, took possession of Fort Astoria and renamed it Fort George, in honour of his “Britannic Majesty” George III. However, men employed by the Montreal-based North West Company had preceded Captain Black by more than a year, nearly two. The soon-to-be Fort George had already become the property of the North West Company. Captain Black acted graciously, but there was no reward for him and his men at Fort George. 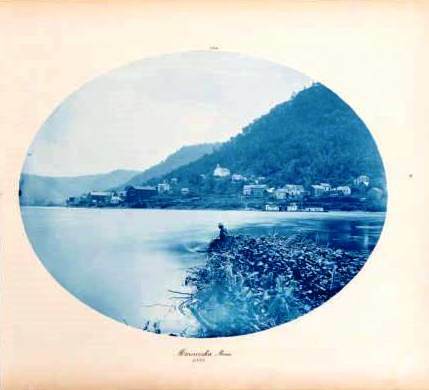 Let us now trace our way back to the beginning of Gabriel Franchère’s Narrative, a year before the Tonquin’s demise on the west coast of Vancouver island, at Clayoquot Sound, but also, a year before, to her losses at the entrance to the Columbia River. Gabriel Franchère (3 Nov. 1786 in Montreal – d. 12 April 1863 in St Paul, Minn.) was entrusted by John Jacob Astor to take voyageurs to the Columbia River and the Oregon Country. He is the author of a Narrative of a Voyage to the Northwest Coast of America in the Years 1811, 1812, 1813, and 1814; or, the First American Settlement on the Pacific. Born in Quebec, he was the son of Gabriel Franchère, merchant, and Félicité Morin (Miron, Marin). 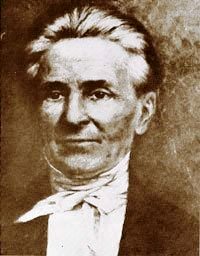 Franchère joined the Pacific Fur Company, founded on 24 June 1810, as a clerk. As John Jacob Astor’s employee, Gabriel Franchère is remembered for his taking Canadiens voyageurs around Cape Horn and up to Fort Astoria, at the mouth of the Columbia River, today’s Astoria, Oregon (US). But more importantly, Franchère kept notes on the Astor Expedition and, as mentioned above, he wrote a narrative of his epic journey, which was used by Washington Irving, the author of Astoria (1836), a book commissioned by John Jacob Astor. However, Franchère’s book has now been recognized as a very fine and accurate account of the Astor Expedition. It is a good book, reflecting uncommon understanding and sensitivity on the part of its author. The Tonquin also stopped in the Hawaiian Islands, then called the “Sandwich Islands” and “Karakakooa.” It took aboard Naukane (ca. 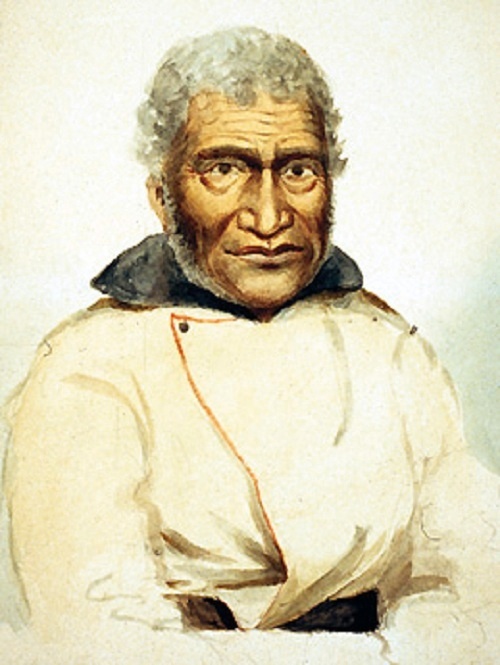 1779 – 2 February 1850), the son of high chief Tamanawa. At Oahu, 20 men, called kanakas, were also taken aboard and placed under the care of Naukane (ca. 1779 – 2 February 1850). Other explorers had stopped at the Sandwich Islands. Captain James Cook was murdered on one of the Islands, in 1779. Naukane’s name was changed to John or George Cox(e). Naukane sailed to England twice. In 1812, he travelled to Britain on the ship Isaac Todd. Later, in 1823, King Kamehameha II, of Hawaii, and Naukane were both sent to England to meet George IV, who ascended to the throne when George III grew mentally incapable of functioning as King of the United Kingdom. There are two endings to the story of the Tonquin. 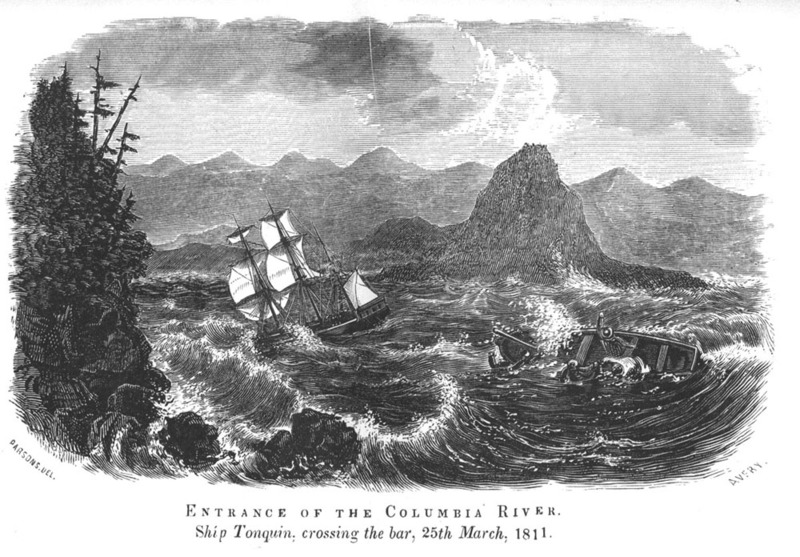 When the boat arrived at the entrance of the Columbia River, it faced a deadly obstacle: the Columbia bar, known as the Graveyard of the Pacific. Three boats were dispatched on successive days to find an entrance to the Columbia River. This search claimed some eight lives, including the life of one the kanakas. 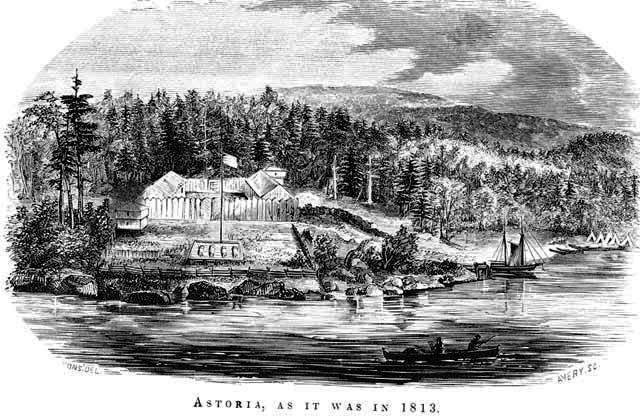 Astorians began building Fort Astoria, but the Tonquin sailed north to her death at Clayoquot Sound, on the west coast of Vancouver Island. By leaving Fort Astoria, Captain Thorn had also imperiled the men he left behind. They could no longer escape, which meant that they were at the mercy of Amerindians and facing difficult circumstances. The characteristics that make Oregon a fine destination, its gigantic trees in particular, were a nightmare to men building a fort. How could such trees be felled? You know the rest of the story. Insulted and otherwise provoked by Jonathan Thorn, the Nootka Amerindians retaliated. As written above, Fort Astoria was renamed Fort George after the War of 1812, when Captain Black, aboard the Racoon, claimed Fort Astoria for George III. A few months later, on 4 April 1814, Gabriel Franchère and other Astorians (Internet Archives, p. 263), left Fort George. Gabriel Franchère returned to Montreal. As noted above, Alexander Ross joined the North West Company and then the Hudson’s Bay Company (HBC), when the North West Company was merged with the HBC, in 1821. Ross married an Okanagan Amerindian princess and eventually settled in the Earl of Selkirk‘s Red River Colony, present-day Winnipeg. His descendants are Métis. The Astor Expedition was not a complete failure. The Oregon Trail was traced, giving settlers a road to follow as they travelled west of the former Louisiana. The Oregon Trail allowed them to circumvent impassable terrain: a terrifying mountain range. As for Franchère’s Narrative, it is, as I wrote above, a fine book written by a fine man. It stands on its own merit. What Franchère wrote about Captain Jonathan Thorn corroborates Alexander Ross’ description. As he concludes his narrative, Gabriel Franchère points out that Irving did not give a completely accurate account of Astoria. Washington Irving was a writer of fiction. It is therefore unlikely that he conveyed the real truth about Astoria. The truth he conveyed would be “poetical.” It may in fact resemble the truth about the demise of the Tonquin. Alexander Ross, Ross’s Adventures of the First Settlers on the Oregon or Columbia River, 1810-1813 (London: Smith, Elder and Co. 1849 [Reprint Carlisle Massachusetts: Applewood Books]). Several visitors to North America have left precious accounts of their trips as well as fine analysis of the people whose lands they visited. For instance, in recent years, Alexis de Tocqueville‘s (29 July 1805, Paris – 16 April 1859, Cannes) two-volume Democracy in America (De la démocratie en Amérique), published in 1840 and 1845, has received a great deal of attention. 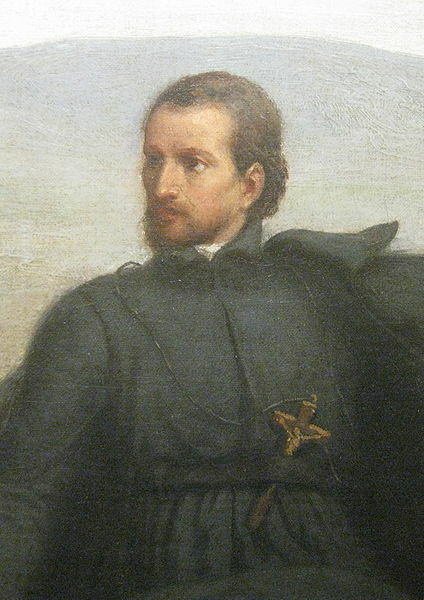 The Jesuit Relations were compiled by missionaries “in the field,” (The Canadian Encyclopedia) edited by their Quebec superior and sent to the Paris office of the Society of Jesus. They were printed in France by Sébastien Cramoisy. These texts constitute the finest and most complete account of life in Nouvelle-France (New France) beginning in 1632, under Richelieu and Louis XIII, and ending in 1672, twelve years after Louis XIV ascended to the throne (1660). Documents were sent after 1672, but not systematically. The Jesuits told everything. Wikipedia lists: “Marriages and Marriage Customs, Courtship, Divorce, Social Status of Women, Songs and Singing, Dances, and Games and Recreation.” The Relations are a mélange (mixture) blending the activities of Amerindians, the progress of missionaries and the daily life of settlers. Moreover, they include accounts of explorers. They left from St. Ignace on 18 May 1673 with two canoes and five voyageurs of French-Amerindian ancestry (Métis) and entered the Mississippi on 19 June 1673. They travelled down the Mississippi nearly reaching the Gulf of Mexico. 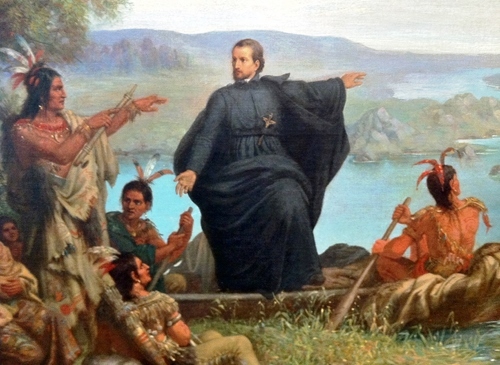 Two years later, Père Marquette was exposed to dysentery and died prematurely. As for Jolliet, he was not heard of after May 1700. [i] Images are from Wikipedia, unless otherwise indicated. [ii] Lacombe, Michèle. “Jesuit Relations”. The Canadian Encyclopedia. Toronto: Historica Canada, 2006. Web. 8 Feb 2006. [iii] Michèle Lacombe, op. cit. [v] Michèle Lacombe, op. cit. However the voyageur‘s world changed when the border was traced between Canada and the United States. 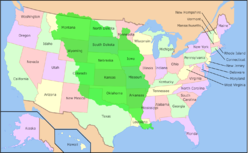 Moreover, because of the Louisiana Purchase, the central part of the United States was no longer a French colony. Napoléon had sold a third of what constitutes the present-day United States. At this point, the United States entered the fur trade business. On 6 April 1808, John Jacob Astor (17 July 1763 – 29 March 1848), German (Waldesians)- born Johann Jakob Astor, established the American Fur Company and also established the Pacific Fur Company. 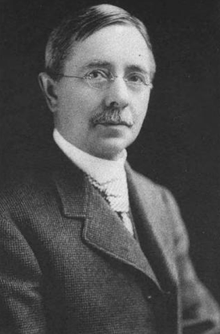 Ramsay Crooks, John Jacob’s employee and, later, his successor, hired American canoemen, but his employer would never have become the richest man in the world had Congress not allowed him to hire Canadiens. The Americans recruited by Ramsay Crooks did not prove equal to the task. They could not work in unison. They carried guns, quarreled among themselves, and they killed Amerindians. 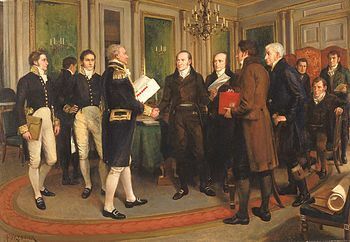 Therefore, Ramsay Crooks decided that an exception had to be made to the Embargo Act of 1807. When the American Fur Company surrendered to the North West Company, in 1812, Gabriel Franchère found his way back to Montreal where, temporarily, he remained in the employ of John Jacob Astor. Franchère is the author of a book entitled Relation d’un voyage à la côte du Nord-Ouest de l’Amérique septentrionale dans les années 1810, 11, 12, 13, et 14 (Narrative of a trip to the American North West in the Years 1810, 11, 12, 13, and 14). It would seem that the book is the possession of Marianopolis College (where I was a student for one year), in Westmount (Montreal).